Showing results for tags 'atv'. Robert Ochoa posted a topic in ATV For Sale? Post it here. Joe5858 posted a topic in General Talk - Anything Goes! Your opinion on KYMCO atv? Newbie to this forum and to riding. 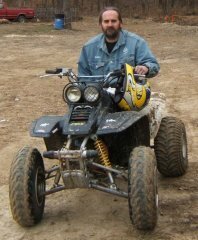 Looking to buy my very first atv and I have a budget and prefer new since I don't want to buy someone else's junk. A place a couple if hours from me has some 2013 kymco wheelers on clearance to make room for 2014 models. So he has a 450i mxu 4x4 for $4,500. 450i maxxer 4x4 for $5k. And a 500i mxu 4x4 for $4,800. That's his OTD price I pay taxes and registration on my own. Since this is my first wheeler I don't want to spend more that $5k and these have a 1 year warranty and I can extend it to 6 years for $850. The guy says these are just arctic cats for 20 percent less. According to him they have been making 500 and smaller atvs for arctic cat and Kawasaki for years now. I'm really just going to use this to plow and do trail riding. Any experience with them? Please do not post your email address, for your own security !!! these are the manuals i have to date for Misc Chinese Brands. if anyone sees one they need, just message me and you'll have it. Do you have ATV Insurance? 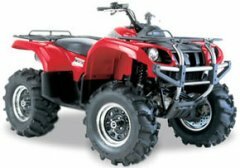 What is your take on ATV Insurance? Do you have ATV Insurance? If so, through which company and why? 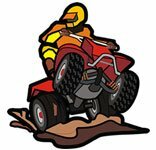 We'd like to hear our member's opinions on ATV Insurance. Please vote on the poll. ATV Stereo system Mod for Quad! "Greetings from LaTuque Quebec! Please come and visit us at Relais 22 this summer, and bring your ATV. We have special prices and 10% off gas for you this summer. Thanks! 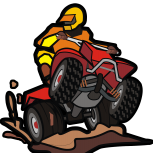 Click here: ATV Holiday in Canada"
What the average lifespan of an ATV? Figured I'd share the wealth with my over 35GB library of shop manuals. Enjoy, and everyone have a very Merry Christmas! 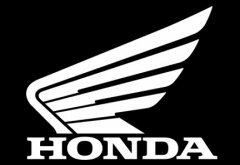 2005-2009 Honda TRX400EX/400X Honda_Trx_400ex_400x_Service_Repair_Manual_2009.pdf p/w: trx400ex400x 2000-2003 Honda Rancher TRX350 TM TE FE FM 2000-2003 TRX350 TM TE FE FM service.pdf p/w: trx350 2005-2006 Honda Foreman TRX500 FE FM TM Honda TRX500FE FM TM Foreman.pdf p/w: trx500 1988-1994 Honda TRX300 Fourtrax, 88, 90-94 TRX300FW Fourtrax 4x4 Honda Trx_300_Fourtrax_300_Service_Repair_Manual_1988-1994.pdf p/w: trx300 1995-2000 Honda TRX300 Fourtrax TRX300FW Fourtrax 4x4 http://www.mediafire.com/file/pi0x0w9n84xocc8/Honda%201995%202000%20TRX300%20Service%20manual.pdf p/w: trx300 1985-1986 Honda TRX125 Fourtrax 125 Honda_Trx_125_Service_Repair_Manual_1985_1986.pdf p/w: trx125 1995-2003 Honda Foreman TRX400FW Fourtrax HondaTrx_400fw_Foreman Service Manual 95-03.pdf p/w: trx400 2003 Honda Rincon TRX650FA TRX650FA_Rincon650_2003_ServiceManual.pdf p/w: trx650 1997-2004 Honda TRX250TE/TM Fourtrax Recon http://www.mediafire.com/file/7cl9nqjedbudo3h/Honda_Recon_Service_Repair_Manual_2004.pdf p/w: recon Thats a good starter kit...post up your requests in this thread, I have tons more...Hope this helps. Who has an atv trailer for their ride? A dump cart. I've seen them at home depot and sears for tractors, which can be used for atvs. I've also seen them online. Just wondering who has one and how do you like it. If you have one, please include brand, price, place of purchase, photo (if available) and what you use it for mostly. Thanks. How fast have you had your ATV? I used my old LG Ally Android powered phone. I had a speedo app on it before I got my new phone so it still worked through GPS. In about a block I had my Yamaha Warrior 350 up into 6th and up to 49 mph. Was still gaining speed but had to slow down. Was coming up to the Stop sign so I figured the block was long enough. I believe I read the top speed is around 60 to 65 for the Warrior. Where is the ATV market headed? If you take a step back and look at the last 10 years of ATV production, you'll notice a bunch of changes. Most of which we think are in the utility line of quads including the increase in CC's and electronics. What else? What do you think we'll see...Soon to be 1000 CC's?? Modded Yamaha doing water wheelies! Few bears doing water wheelies! I fell off the bike and boy is the water cold lol!